Lammas, the first of the harvest festivals, is a celebration of abundance. Wheat, barley, and oats are commonly harvested during this time, making them the center of the celebration. 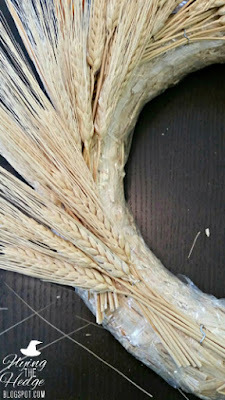 To kick off the holiday, I would like to share my DIY Wheat Wreath with all of you. I made this specifically for the holiday, but it can be displayed through the remaining harvest festivals and into Thanksgiving if you wish. First you will want to cut your wheat stalks while they are still bundled. This reduces your mess significantly. I cut the stalks about 4 inches below where the wheat ended. As I layered the wheat I trimmed the stalks as needed, but for now, cut them 4 inches below the wheat and toss the stalks. 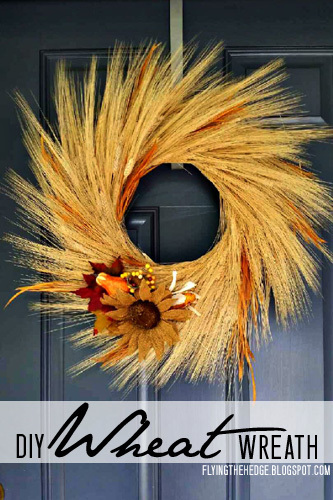 Next take 3-6 wheat stalks, depending on where you are working, and being pinning them around the wreath. 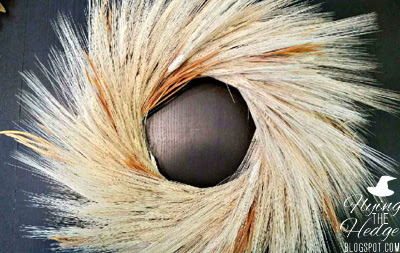 Try to stagger the wheat within each bundle. You will cover more area with less wheat that way. Start by only doing the top of the wreath. Be sure to cover the floral pins as you work around. Add some darker colored wheat flourishes as you work. This will add depth to your wreath. 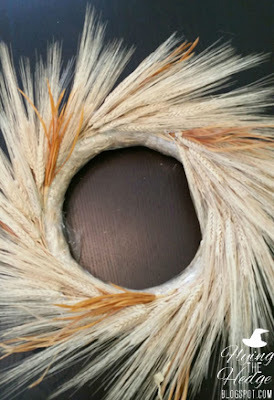 Once you have covered the top, begin placing wheat bundles and darker flourishes in the inside of the wreath. Again, be sure to cover your floral pins. After you have covered the middle, use the remaining wheat to do the outside. I did not completely cover the outside of the wreath. I simply filled in areas that were thin and made sure to cover the outside just enough to hide the straw wreath underneath. 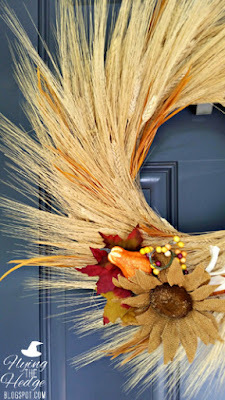 Once you have completely covered your wreath with wheat, add your floral flourishes. I placed mine in the bottom left corner to add weight to one end. Off setting draws the eyes to the flourishes, giving them greater significance. If you don't want to add the floral flourishes, a burlap bow would also look nice. I chose the sunflower to represent the dying Sun, the corn, berries or grapes, and gourd to represent the harvest and abundance, and the fall leaves to represent the end of summer and the coming of fall. 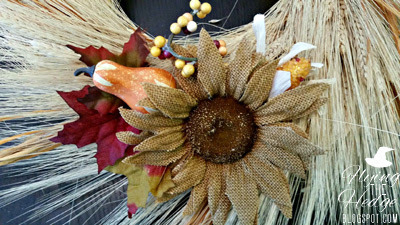 Acorns, pumpkins, and other fall inspired flourishes would also work well for this wreath. So, what do you think? 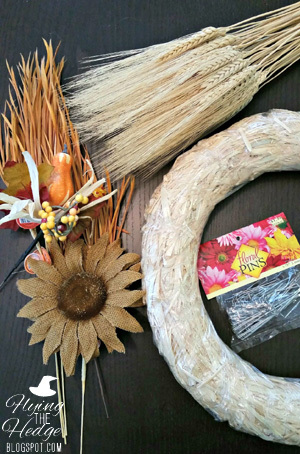 Have I inspired you to make a Lammas Wheat Wreath of your own? 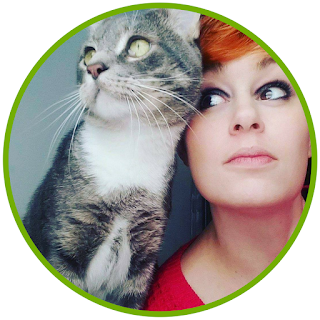 If so, I would love to see your work!